Play Kiba & Kumba: Jungle Chaos and more Jump & Run Games on Games1.com! Kiba & Kumba: Jungle Chaos is a classic Jump 'n' Run game where you have to help the two apes Kiba and Kumba in their fight against the villain Dr. Slipp van Ice. 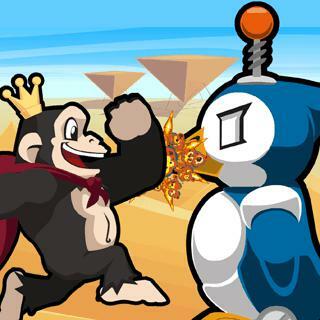 Lots of action, evil robot penguins and countless traps await you in 4 different worlds. Do you accept the challenge to save the island?